Welcome to the 691st Edition of my series. We are officially done with the NFL for the year and while I would have liked to have seen the Rams win, I still had a good night last week and look forward to the NFL this year where I will look to get my fantasy team this time unlike this year where I was just too busy. Not much else is happening right now thought I hope to have some announcements soon but for now I will just get to my selections. Starlet (2012): I start the week out with this independent film which was co-written and directed by Sean Baker. Dree Hemingway stars as young adult film actress Jane and meets the elderly Sadie, played by Besedka Johnson, and form an unexpected friendship with each other. The title refers to Jane's chihuahua. Stella Maeve, James Ransome, and many others co-star in this film. This is a good look at a cross generational friendship and helping each other in different ways. Hemingway is the great granddaughter of famed author Ernest Hemingway. Keep in mind this does center some around the adult film industry so are some graphic scenes. If you can get past those scenes, it is a decent character driven film and is available to watch on Hoopla. 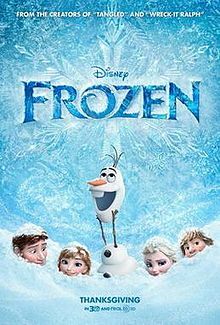 Frozen (2013): I go from an independent film to this popular Disney film. Chris Buck and Jennifer Lee directed this film which is based on the Hans Christian Anderson story THE SNOW QUEEN which I venture to say Disney took some liberties with this movie. This centers around royalty sisters Elsa and Anna, voiced by Idina Menzel and Kristen Bell. Elsa is the newly crowned queen and finds she has some powers that are dangerous when able to control. Things happen when Elsa accidentally traps her kingdom into winter and runs away finding her own place feeling she is too dangerous. The fearless Anna sets out to find her sister in hopes of saving the kingdom from permanent winter. Anna is joined by mountain man Kristoff, voiced by Jonathan Groff, his loyal reindeer Sven, and a live snowman named Olaf, voiced by Josh Gad. Santino Fontana, Alan Tudyk, Ciaran Hinds, Chris Williams, Stephen J. Anderson, Edie McClurg, Robert Pine, Maurice LaMarche, Livvy Stubenrauch, Eva Bella, and many others provide their voices. While this was a very popular film, I know it has a lot of haters to go around. In watching this, I really do not understand the hatred especially if it is from Disney fans. 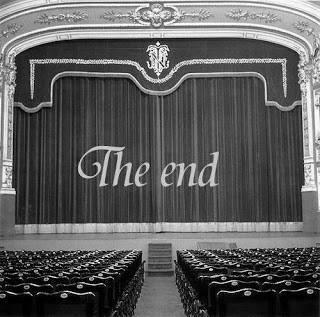 It had a pretty good story in my opinion and even had a pretty good message in the end. It also had some good music numbers. Maybe all the hype lead others to their hatred and I suppose parents, more with daughters I would say, with little kids really got tired of it after non-stop watches. I watched this very openly trying to ignore the hype, the awards won, and the fact I'm not a parent. While I hate winter, I still really liked this movie and while I won't be building a snowman I will just let it go. 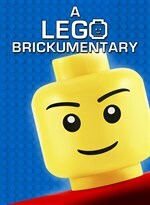 A Lego Brickumentary (2014): Now I follow up with my documentary for the week which was directed by Kief Davidson and Daniel Junge and narrated by Jason Bateman who was the voice for an animated Lego man. This goes into the history of Lego which started in Denmark, some rough times up into the ultimate rise where the toy has become very equally popular for children and adults. It takes a look at collectors, hobbyists, artists, architects, engineers, scientists, and doctors who have found a variety of uses for this product. It also goes into the rise of Lego in film and video games including even some independent filmmakers. These are the kinds of documentaries that I enjoy most. Something I may not really be into but enjoy seeing the passion of others getting into it like the conventions out there, the movies people make with them, and the many ways this little toy brick gets put to use. This is a very fun and very informative documentary that just about anyone can enjoy. Destination Earth (1956): This is my animated short for the week. This starts out on planet Mars where the supreme dictatorial leader Ogg looking to Earth to overcome some of their problems and sends Colonel Cosmic to Earth to look into ways to help save Mars. This is corporate-sponsored propaganda and is more entertaining than anything. 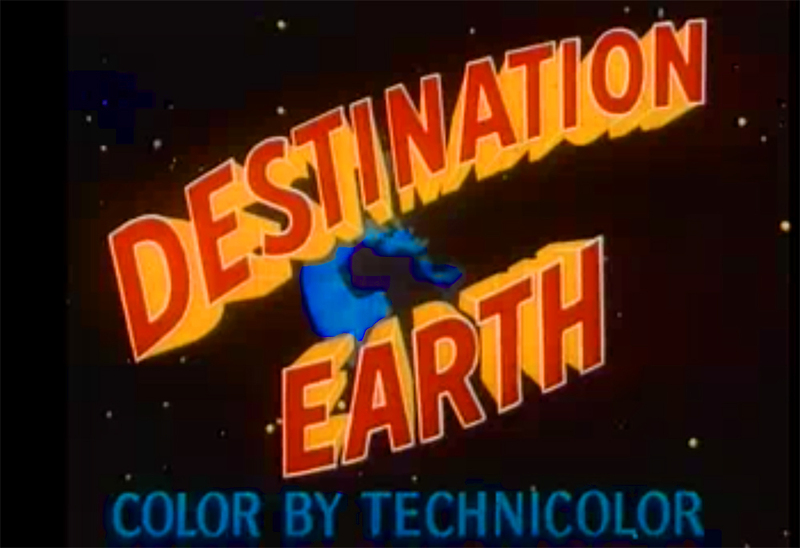 From what I can see, MST3K and Rifftrax has not used this but would be a good short feature to start. This is available to watch on Amazon Prime with "American Cold War Cartoons". 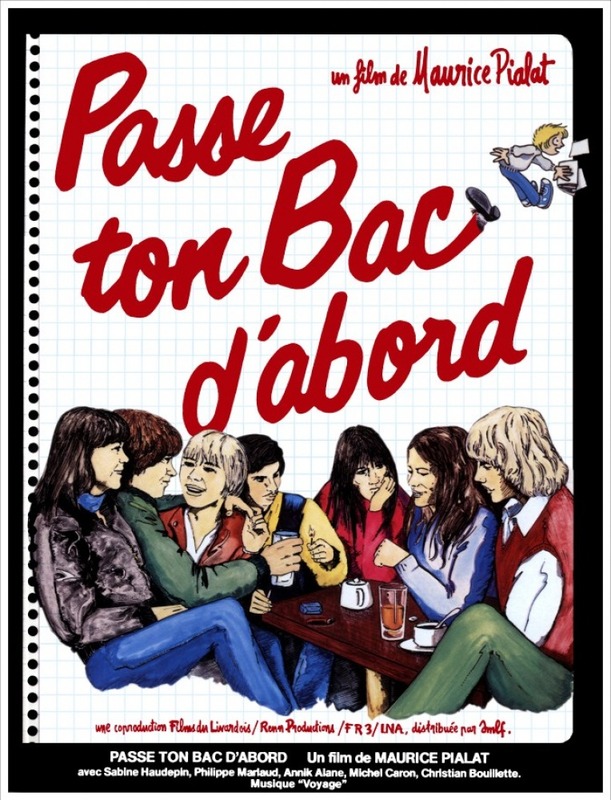 Graduate First (1978): This is one of two French films for the week. 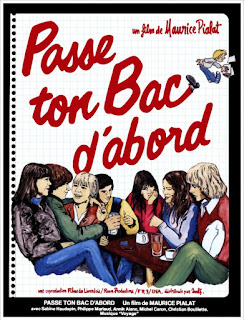 Maurice Pialat wrote and directed this film that takes place in Northern France. This focuses on a group of teenagers as they make the transition from high school into the real world. It is hard to really describe this film any further. These are kids from working class families with a lot of uncertainty towards their future and trying to make the most of it. This does have some well written characters and is a good look at these teens trying to make the most of life. This is available to watch on Kanopy. 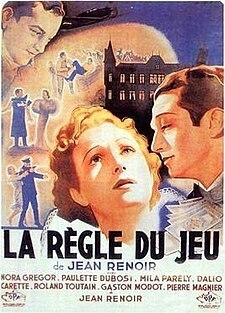 The Rules of the Game (1939): This is my second French film for the week. Jean Renoir wrote and directed this French film and even co-stars. This takes place in France during the onset of World War II as the rich and their poor servants meet up at a French Chateau. Like the other French film I featured, this is kind of an ensemble film depicting the upper-class society and their servants showing their moral callousness on the eve of impending destruction. This features a variety of characters and situations that all work well together. This is a social satire and was very controversial during the time of its release. This is also available to watch on Kanopy. Tully (2018): Jason Reitman directed this film which was written by Diablo Cody. Charlize Theron stars in this movie as Marlo, the overwhelmed mother of three. While reluctant at first, she accepts her brother's offer to hire a night nanny named Tully, played by Mackenzie Davis. Life becomes easier with Tully's help and is in Mary Poppins in a sense. Ron Livingston, Asher Miles Fallica, Lia Frankland, Mark Duplass, Elaine Tan, Gameela Wright, Tattiawna Jones, and many others co-star in this film. Theron and Davis work very well together in this comedic drama that is both funny and moving. This is a good look on how difficult parenting can be and sometimes does take a village. 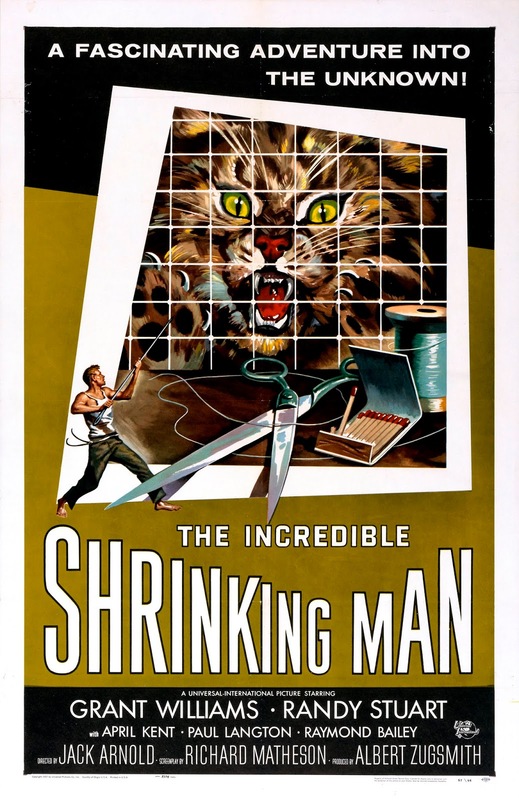 The Incredible Shrinking Man (1957): Now I bring some classic sci-fi to the mix. Jack Arnold directed this sci-fi film based on the novel by Richard Matheson who wrote the screenplay. Grant Williams stars as Scott Carey who has a great life going for himself in a good marriage with Louise, played by Randy Stuart. He comes across some chemicals that seem harmless at first but starts to find himself shrinking. As he gets smaller, he struggles to survive things like a cat and a spider that are now bigger than himself. April Kent, Paul Langton, Raymond Bailey, William Schallert, and many others co-star in this film. 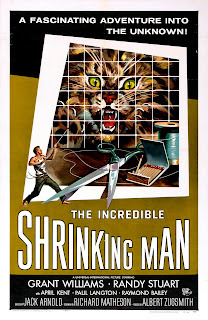 This has a really good story of a man's struggle and has really good special effects. This goes beyond the b-movie that was really pretty known for sci-fi in this era and is really good sci-fi horror. Mikey and Nicky (1976): Elaine May wrote and directed this film. 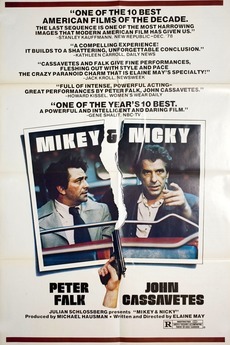 John Cassavetes stars as small-town bookie Nicky who has stolen mob money and begs his childhood friend Mikey, played by Peter Falk, to help him evade the hitman on this trail. Ned Beatty, William Hickey, Joyce Van Patton, M. Emmet Walsh, and many others co-star in this film. This movie is about a friendship more than anything and the tests of the friendship brought on by hardship. Falk shows he is more than Columbo and works well with Cassavetes. I came across this with the new Criterion Channel streaming service which no longer appears there as they are just getting going on it after the death of Filmstruck. This is worth a look and hope to help get it more exposure. 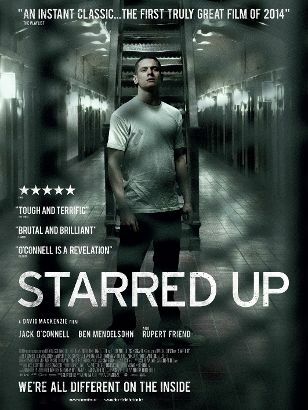 Starred Up (2013): I end the week with this British prison film which was directed by David Mackenzie and written by Jonathan Asser who based this on his own experiences as a volunteer therapist at HM Prison Wandsworth. Jack O'Connell stars as the 19 year old Eric Love whose violent behavior gets him from juvenile to an adult prison which is the the title means. While there, he sees his estranged father Neville, played by Ben Mendelsohn, who tries to get his son to settle down and looks to get him therapy. Gilly Gilchrist, Frederick Schmidt, Raphael Sowole, Anthony Welsh, David Ajala, and many others co-star in this film. This is a very gritty and dark film that in no way glorifies prison life. It is also a very compelling and realistic film on prison life and another movie that deserves more exposure. 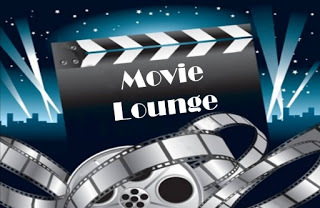 Well, that is it for this week though I do have my "Movie Time in the Town of Pottersville" segment so read on. Tell me what you like and dislike and stay tuned for next week which so far includes Sean Penn. 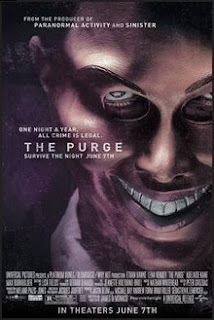 The Purge (2013): As I was getting ready to watch this on Thursday, I thought "Steph might want to watch this movie" so I messaged her and I went to her and Drew's home to watch this movie. I recall seeing if she wanted to watch this week's feature FROZEN but that got shot down right away as I learn she is one of the haters but I knew this would not be a problem. James DeMonaco wrote and directed this horror movie which has started quite a franchise. This takes place in a society where one time a year criminal activity is legal for a 12 hour period. The movie centers around the Sandin family, played by Ethan Hawke, Lena Headey, Max Burkholder, and Adelaide Kane, who get put into the middle and must fight for survival and their humanity for that matter. Edwin Hodge, Rhys Wakefield, Tony Oller, Arija Bareikis, Tom Yi, Chris Mulkey, Tisha French, and many others co-star in this horror film. This was a pretty interesting concept that I thought was pretty well excecuted. I suppose it is not absolutely original but what is these days? It was pretty inventive and enjoyable for its targeted crowd. I will probably look to do this segment again with the sequels.